And other stories: Realloudoun will be appearing weekly for the next several months in an effort to allow your non-paid reporter to make a living at his day job. • Whacking the school budget, cont. 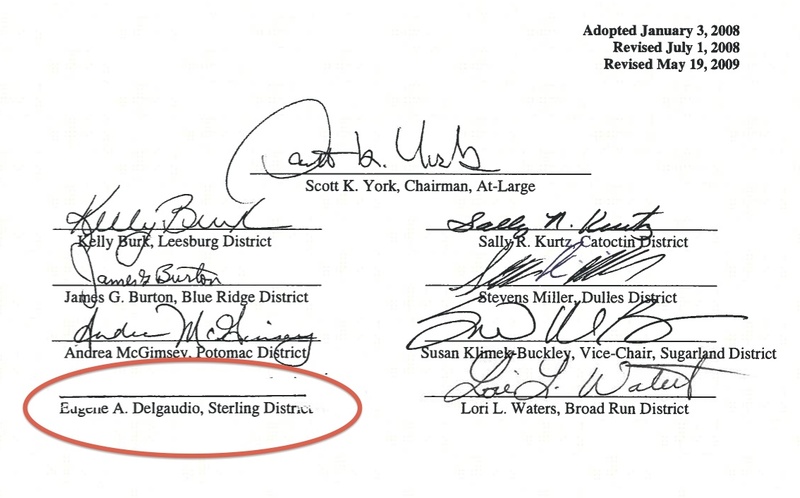 In what is becoming an increasingly familiar bait-and-switch tactic by Loudoun developers, one of the major selling points of the Kincora development when it was narrowly approved by the previous Board of Supervisors (Chairman Scott York, our leading baseball fan, and his two fellow Republicans Eugene Delgaudio and Lori Waters providing 3 of the 5 votes in favor, with 3 Democrats and 1 independent opposed) was that it would bring commercial as well as residential development, easing the property-tax burden on Loudoun homeowners. Critics pointed out that it was a terrible location (the intersection of Rts 7 and 28) and that the road network was already overburdened — never mind that the non-existent Loudoun Hounds baseball team that we were told was going to make Kincora its home was not only non-existent but would be part of a league so minor it isn’t even affiliated with any major league teams, the way the Frederick Keys and the Potomac Nationals are — and was it really likely that any baseball fan in his right mind would pay to come to see high-school level baseball being played in Loudoun when there were so many other real options close by. They doubted the stadium would ever really be built. Turns out they were right! It also turned out that both the Kincora developers and Bob Farren, the entrepreneurial genius behind the Hounds, were extremely generous when it came to schmearing the Republican candidates in 2011, spreading around tens of thousands of dollars in campaign contributions. The next act in the drama was York’s announcement that he had finagled $80 million in taxpayer subsidized loans for Kincora in a slick deal that let the developers completely off the hook for the promised road improvement proffers that were a condition for the special exemption they received from the previous Board to build their city-and-field of dreams. Instead, a new tax district would pay back the loan. That assumes of course, the development is built and prospers. If it’s a flop, or the developers back out, guess who gets left holding the $80 million tab? Yes, that would be us, the taxpayers. 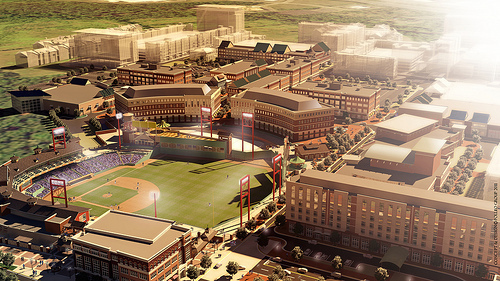 In Act III, York slipped into the county’s legislative agenda for its delegation in Richmond this fall a request for legislation that would pull the same trick to fund not just roads but the cost of building the very minor league baseball stadium. Yes, once again the taxpayers would provide the financing, with the airy promise that the costs would be recouped over time by a new sales tax imposed on the legions of eager fans flocking to the new ballpark clutching fists full of dollars. And if the team fails to be a huge financial success . . . then once again the suckers left holding the tab would be us. Last week the other shoe dropped, and Farren announced that his non-existent team would be “moving” (funny term when you don’t exist) from the non-existent Kincora development to the less non-existent One Loudoun development. Yes, that would be terrible, after all the Hounds have done for us. We’re still extremely grateful to Chairman Scott York (R-Kincora) for his tired and emotional late-night attack on realloudoun from the dais the other week, which overnight quadrupled our readership. There’s also nothing that is more amusing, as political satirists from H. L. Mencken on down can tell you, than the pompous pules of a piqued politician. Chairman York took particular umbrage at the suggestion made in one of our posts that the Board’s no-debate unanimous snappy 9–0 decision to hand out $50,000 to the Loudoun Babe Ruth World Series — so that this private organization could pay the required “fee” to Babe Ruth International (aka a bribe) to be selected as a host for one of the numerous “world series” it stages each year — could have anything to do with the fact that former Board Chair and extremely well-connected developer shill and Loudoun Republican Committee power broker Dale Polen Myers is a major figure in the Loudoun Babe Ruth organization. York suggested that anyone who knew his “history” with Myers (he defeated her in a 1999 Republican primary, then defeated her again in the general election that year, when Myers violated the very pledge required of Republican primary voters to support the chosen GOP candidate and ran against York as an independent) would know he couldn’t possibly have been motivated by any desire to make nice to her. Of course this rather ignored a couple of key facts. For one thing, there was that little detail that the other 8 members of our current all-Republican Board not only don’t have that “history,” but are like all GOP candidates in Loudoun extremely beholden to the developer power bloc that runs that Loudoun Republican Committee — and which ever since that 1999 primary has chosen all of its candidates in a backroom “convention” rather than trusting the voters to have a say in such a delicate matter. Then there’s that little fact that last year York himself knelt down and kissed the . . . ring of Myers and Co. and re-embraced the Republican fold, betraying the coalition of moderates and slow-growth advocates whose support he had solicited and received since breaking with the GOP in 2003 and becoming an independent. York promptly displayed his new allegiance at the first meetings of the new all-Republican Board in January of this year, siding with the 9–0 bloc to go back on years of promises to people who had mistakenly thought he was a man of integrity willing to stand up to the big developer money. York was right there voting to kill the volunteer illegal-sign clean-up program, to throw off key regulatory commissions any true citizen representatives and replace them with (literally) representatives and employees of major developers, and to start undoing the rural-preservation and transition area zoning plans he had previously supported — when it was politically expedient for him to do so, that is. But then York is known for always playing both sides of the street: during last fall’s campaign he kept whispering (literally) to one Democratic supervisor candidate words of encouragement and support even as he publicly campaigned for his Republican opponent. Nice trick. By the way, another slightly amusing consequence of York’s wounded attack on realloudoun for saying mean things about him — and for doing it anonymously, forsooth (York ominously declared that “the dark side of the Internet is people who hide behind undisclosed names, and put out anything they want to”) has been the flurry of anonymous comments posted on various internet sites agreeing with York how terrible and irresponsible it is that realloudoun is . . . anonymous. By the way, the Loudoun Times‘s local, lazy, wet-behind-the-ears, and humorously described “government reporter” also did not, as he claimed in his story, contact realloudoun asking for a “comment” on York’s emotional and wounded tirade. And speaking of the total abdication of coverage of what is actually happening in local politics by our county’s two so-called newspapers — now owned by (a) a wealthy conservative Republican major local developer, in the Loudoun Times‘s case and (b) a Texas media acquisition company whose CEO is known for buying papers, laying off staff and cutting salaries, and violating local election laws by running free ads for political campaigns it favors, in Leesburg Today‘s case — it has been astonishing even by Leesburg Today’s rock-bottom standards how they have been burying the Delgaudio scandal and serving up softball excuses for our finagling orange-capped protests-too-much homophobe extraordinaire. In this week’s issue of Leesburg Today you have to read a letter to the editor to find out what Delgaudio actually did; to read the the news columns, all you would know is that the big bad Washington Post accused him of doing something or other not really explained, having something or other to do with fundraising, based on what “one aide” said. “I think the ethics issue is a legitimate issue. We have guidelines on that from 2007 that I have followed since then,” Delgaudio said. That would no doubt explain why he was the sole member (see below) of the 2007 board to refuse to sign that ethics policy (which Chairman York declined to renew for this Board, saying it was “unnecessary”). Another fact the paper did not deem worth letting its readers know. Last week the Board also reaffirmed it plans to whack $68 million from the school budget next year, even as school enrollment continues to grow by some 3,000 pupils a year and as the Board is about to approve a series of more of those bait-and-switch requests from developers to convert commercial-zoned property to residential, adding yet another 2,500 pupils to the rolls. Rejecting those requests to approve 10,401 new residential units would save almost exactly that $68 million per year in new school instructional costs and annual capital costs for new school construction. Let’s see if they can muster the courage to put their votes where their mouths are — if it means bucking the developers who bankrolled their campaigns to the tune of $500,000 in last year’s election.